Last week, during an appearance on CBC’s “The Strombo Show,” Broken Social Scene debuted two new songs, “Can’t Find My Heart” and “1972.” Today they announce Let’s Try The After - Vol 1, a new EP that will be released on February 15th via label Arts & Crafts. The EP’s electric first single, “All I Want,” with lead vocals by BSS core member Andrew Whiteman from Apostle of Hustle, is available today. 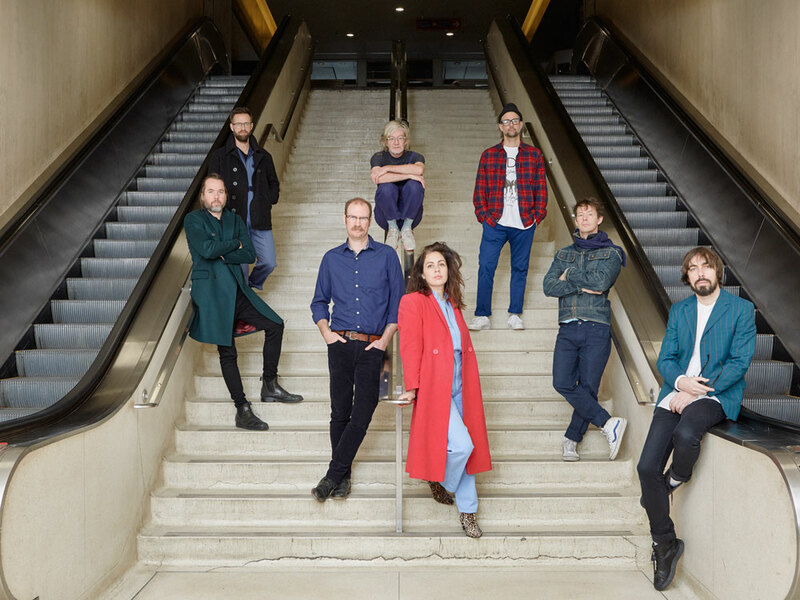 For their upcoming residencies, Broken Social Scene has once again partnered with MusicCounts so that $1 from every ticket in Canada will go towards putting musical instruments into the hands of kids who need them most. For the US, BSS has partnered with PLUS1 so that $1 from every U.S. ticket will go to support Youth Speaks, who provide life changing arts programs for vulnerable and disadvantaged youth across the country.